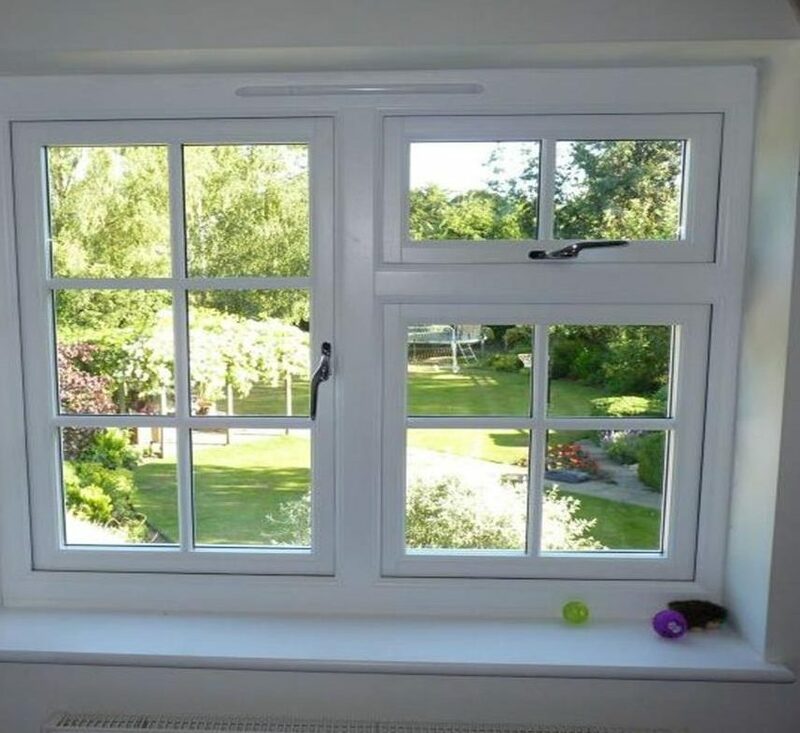 When it comes to wooden windows, ours will no doubt fit the bill and are on offer in a range of styles, from side or top-hung casement windows available in â€œflushâ€ or â€œstormproofâ€ casement styles, to vertical sliding sash windows, timber, and even bifolding windows which can give very large openings. As well as being real showstoppers to look at, timber windows offer extraordinary performance against the often-terrible British weather. They provide excellent insulation with double and triple glazing options to choose from, lots of colour varieties, and are environmentally friendly, which is a real plus. Purchasing a timber window can really emphasise the external look of any home. Not only do weÂ stock standard finishing options, but we also provide a whole host of colours to match your personal preferences. Regardless of whether youâ€™re renovating a Victorian property or building a new home, we have a stylish selection of wooden windows in a variety of finishes and styles to suit your project. Below are just some of our Sash Windows, visit the gallery to see the full range. Our wooden windows are manufactured to high standards with specifications to match, generic specifications are below (specification relative to design). All of our Wooden Windows are designed and manufactured in the UK using FSC sourced wood. Once manufacture has been completed the item will be sent and delivered shortly after. Products are all inspected thoroughly before being dispatched. These folding windows are often seen in restaurants and shops, but they can also work wonderfully in your home, especially to make the most of a panoramic view. All of these window styles can also be incorporated into conservatories and orangeries. Itâ€™s even possible to have, for example, side-opening casement windows along one side of a conservatory, and a large bifolding window along another side. With our sophisticated modern design software, the possibilities are endless, and since we design everything in 3D we can even show you exactly what your new building or frames will look like from any angle before manufacture, including from inside a conservatory or orangery. Glazed wooden windows have been used in British homes since at least the 1500s, though they would have been very different from the windows we see today. Early wooden replacement windows would have used small pieces of glass which were produced by blowing an elongated glass balloon, cutting the ends off, splitting the resulting cylinder with shears and flattening it on an iron plate. The glass produced this way was inconsistent in thickness and poor in quality, with many visible bubbles and strain lines, and was often cut into small pieces to avoid the worst of these defects. Large clear panes of glass as we see in todayâ€™s windows were not possible until the early 20th century when the manufacturing techniques for float glass were invented and perfected. Nowadays in the UK, wooden windows and doors can be manufactured with very large, perfectly clear glass panes which are built into double or triple-glazed units for outstanding insulation, allowing you to make the best of a beautiful view or create a wonderfully lit space while also conserving heat and energy for comfort and economy. Just like the glass used within them, wooden windows have come a long way since the 1500s. In the last 20 years especially, there have been many developments in design and production techniques, opening window hardware, locks, and paints and coatings. Truly modern, contemporary wooden windows are designed in 3D, manufactured on computer-controlled machinery, fitted with locks and hardware which allow for all kinds of sizes and configurations of window, and coated with microporous paints for excellent durability. Our made to measure wooden windows have all of these features, and more besides. Despite the modern production techniques and hardware we use, our window systems are still flexible enough to produce traditional looking wooden windows. Indeed, this is one of the great challenges of designing modern windows â€“ incorporating highly efficient double-glazed units and modern hardware whilst maintaining a traditional aesthetic, and we have designed all of our wooden windows and doors with this in mind from the very start. As such, our windows are suitable for all kinds of projects, from super modern and contemporary eco-homes to traditional townhouses. For the traditional look, we can provide decorative glazing bars in straight or curved designs, leaded or patterned glass, arched-head windows, flush casements and traditional looking handles. For the more contemporary project we can provide ready made wooden windows with large uninterrupted glass panes, simple and minimalist frame detailing, very large opening sashes, triple-glazing and a variety of paint colours. Our wooden windows are available in a range of styles, from side or top-hung casement windows available in â€œflushâ€ or â€œstormproofâ€ casement styles, to vertical sliding sash windows, and even bifolding windows which can give very large openings. Where Can I Use New Wooden Windows? These folding windows are often seen in restaurants and shops, but they can also work wonderfully in your home, especially to make the most of a panoramic view. 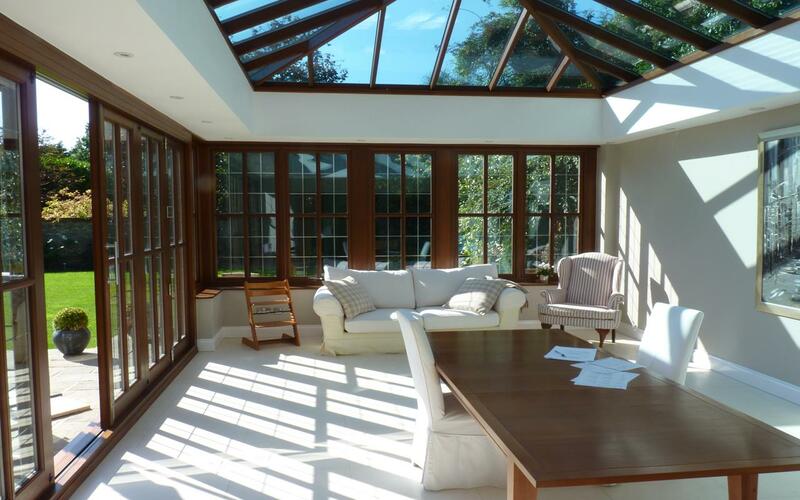 All of the above window styles can also be incorporated into conservatories and orangeries. Itâ€™s even possible to have, for example, side-opening casement windows along one side of a conservatory, and a large bifolding window along another side. 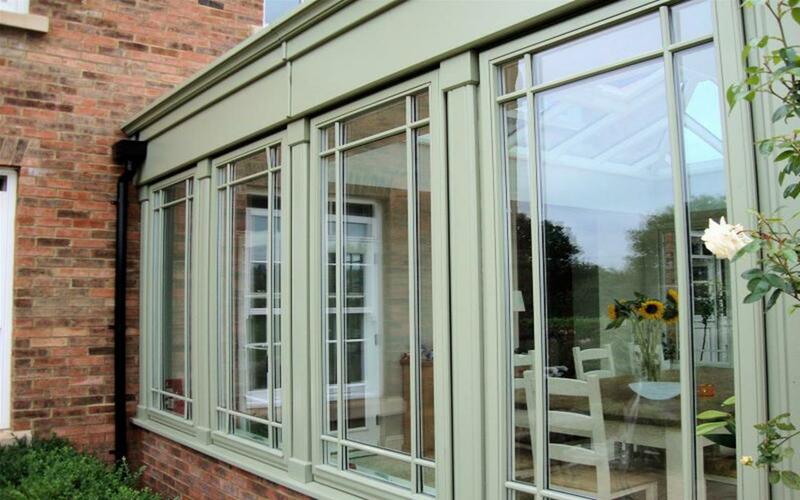 With our sophisticated modern design software, the possibilities are endless, and since we design our single glazed, small, casement and large windows in 3D, we can even show you exactly what your new building or frames will look like from any angle before manufacture, including from inside a conservatory or orangery. 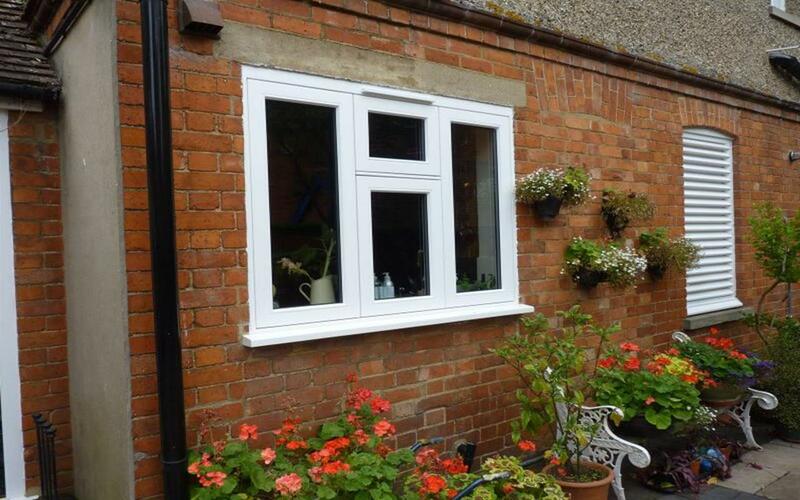 All our wooden windows are available in standard and made to order sizes. Our wide range of wooden windows come in a variety of sizes and shapes to fit almost any home, including standard casement windows, large, single glazed, standard size and small. All of our wooden windows use timber from FSC accredited suppliers, so you can be sure that purchasing windows from us will not have a large negative impact on the environment. Manufacturing uPVC and aluminium windows uses lots of energy, as both materials involve extensive mining and processing, releasing Carbon Dioxide which causes global warming. By contrast, timber is made up of approximately 50% Carbon, which trees obtain while they are growing by removing Carbon Dioxide from the air. By installing timber products from sustainable sources, youâ€™re actually locking away Carbon within the wood for the life of the windows which is a benefit for the environment. Check the dimensions. Prior to buying wooden windows, make sure you measure the size of the . Measure again after delivery to make sure the size and specification matches your order. Protect Unfinished Frames from the elements. Before fitting a window, handle your windows carefully and protect glazing and joints. Pack gaps between the window and aperture. Supplierâ€™s instructions will encourage you to use a mortar bed to reinforce the sill and tough packing beneath the mullions so thereâ€™s an smooth weight distribution and an even and aligned frame. Before securing frames into place, test opening lights. Wider frames require additional elements to meet building regulations, so be sure to follow fitting instructions. 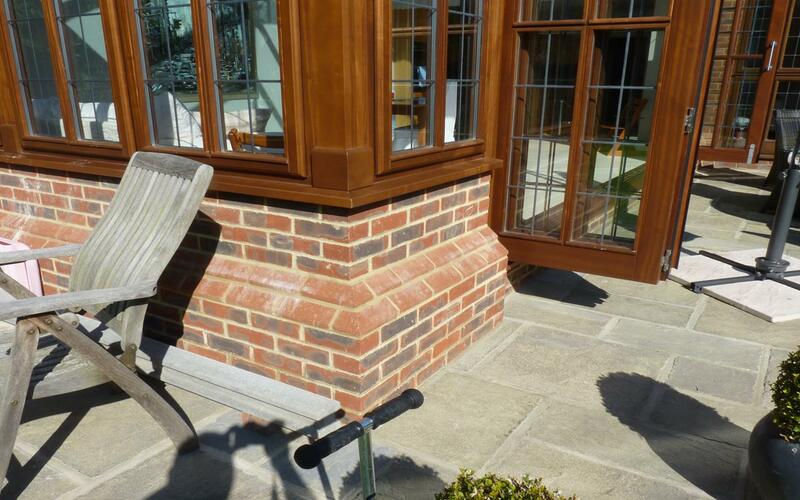 Seal perimeter gaps and make any essential alterations. This can be done using expanding foam or something of the like. In contrast to cheaper uPVC types, wooden windows provide a stylish, more old-style look to your home that complements perfectly with older brickwork. 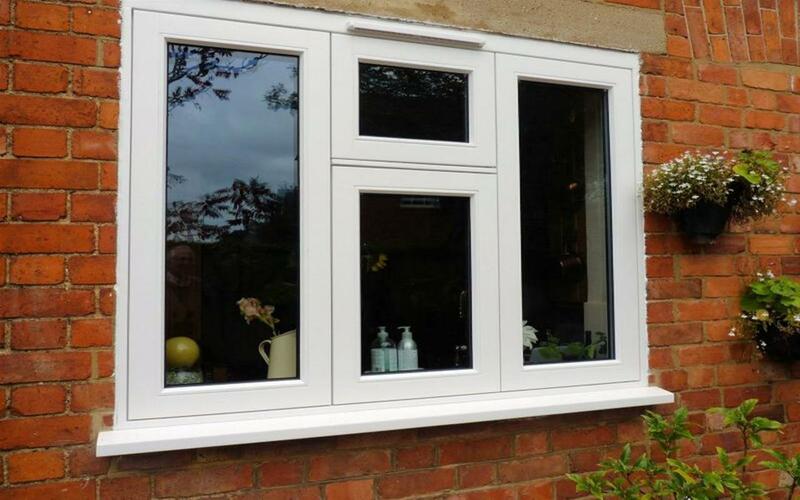 To help you budget for new wooden windows, weâ€™ll give you a free quotation. Simply fill out our call back request form for prices and wooden windows costs, or call us on 0843 886 7763. If you are looking to replicate an existing window style for your new wooden windows then please give us a call on 0843 886 7763 to discuss your replica window requirements.